Libbie Johnson describes herself as a life long horse lover. Beginning at age 8, she organized a fan club for ‘61 Derby winner Carry Back. Her first horse arrived by way of a lost truck on its way to the slaughterhouse. Libbie has always been active in her local horse community from rescue organizations to organizing an economic impact study for the local equine industry. She has served on several equine-related boards, including USPC, Equestrian Land Conservation Resource, Farm Bureau and the NC Equine Study advisory board. She has a background in public relations and applies it to volunteer activities whenever possible. A past adult leader of her local pony club, River Valley, Libbie concentrated her efforts on growing membership and retaining membership for older members. 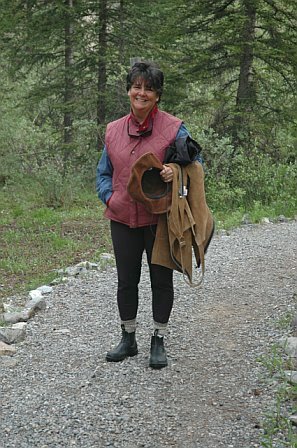 She has produced a weekly e-newsletter, This Week in Tryon Horse Country since 2009. Libbie and husband Jerry have three children with only one acquiring the horsey gene. She always travels with bail money.
. This site and its content is also sponsored by the Tryon Riding and Hunt Club, Carolina Foothills Chamber of Commerce who all believe that Our Horses Mean Business.